Spring Batch Job Repository with sybase database. Java config: could not autowired a List. What is the drawback of JSF compared to spring? Framework for Web Layer? Struts2 or Spring MVC? 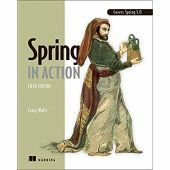 Spring mvc request mapping for POST JSON request not working. How to display a dispatcher-servlet.xml bean id in a JSP page? Supressing "Failed to import bean definitions"
retrieving map object that is being returned by Jar file in JSP. Is Spring certification worth anything? what isolation level should be used for basic CRUD operation in spring JTA Transaction.